Warner Bros. Home Entertainment Group today announced an agreement to acquire Flixster and Rotten Tomatoes. Under the terms of the deal, the two will continue to operate independently and will expand their services beyond movie discovery to enable digital content ownership and delivery across any connected digital device. The Flixster team will stay in San Francisco and the Rotten Tomatoes team will continue to work autonomously in Los Angeles. 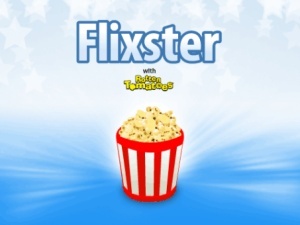 Flixster is a popular movie discovery platform, with over 25 million worldwide users per month. It is considered the number one movie discovery application on mobile platforms with over 35 million downloads to date. Rotten Tomatoes is one of the most trusted and influential brands in movie reviews and news, with 12 million unique visitors per month. In January 2010, Flixster acquired Rotten Tomatoes. Now both are owned by Warner Bros.
Warner Bros. plans to use the Flixster brand and technical expertise as a launch pad for a number of initiatives designed to grow digital content ownership. One of these is called "Digital Everywhere," a studio-agnostic application for consumers who want to organize and access their entire digital library from anywhere on any device, as well as to share recommendations and discover new content. "We're thrilled that Warner Bros. Home Entertainment Group shares our vision for how 'anytime, anywhere' digital entertainment can become an amazing user experience," said Joe Greenstein, co-founder and CEO of Flixster. "We're excited that Warner was willing to make this kind of commitment to a leading independent consumer platform. We look forward to working with Warner as well as each of the other studios to innovate and build products that users will love." I frequently use the Flixster app on my BlackBerry, which includes movie ratings from Rotten Tomatoes. Its main purpose for me is to simply check which movies are playing in what theatre, so I don't ever use it for more than just for a few minutes. Have you used either Flixster or Rotten Tomatoes, and what do you make of the Warner Bros. purchase?